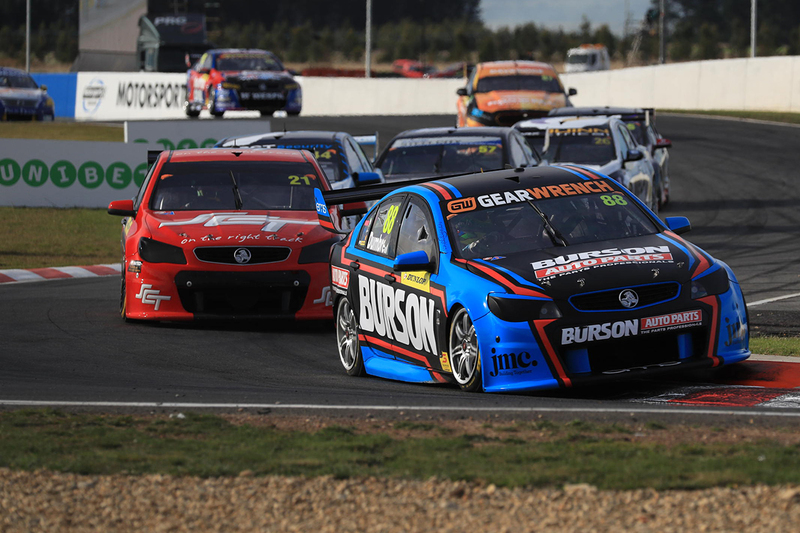 Paul Dumbrell has claimed victory in the Dunlop Super2 Series’ Round 2 opener at the Tyrepower Tasmania SuperSprint. The Eggleston Motorsport driver took an early lead, beating polesitter Chris Pither off the line at Symmons Plains. Dumbrell seized his opportunity to sneak past into Turn 1 after Pither was slow away in his Garry Rogers Motorsport Holden. Jack Smith followed suit and edged past Pither, sitting second for nine laps before Pither claimed the spot. 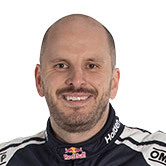 Ahead of them, two-time Super2 Series winner Dumbrell maintained a comfortable lead, even when a Safety Car period put Pither right behind him. Pither applied pressure but couldn’t find a way past, Dumbrell winning by 0.9890 seconds. Smith finished third, a career-best result for the Brad Jones Racing driver. Kostecki Brothers Racing took the next two places, with Kurt Kostecki in fourth, followed by Brodie Kostecki who had started third. Holdens filled the first nine spots, with Macauley Jones, Adam Marjoram, Nathan Morcom and Will Brown, while Thomas Randle was both the first Ford home and the top rookie in 10th. Dean Fiore crossed the line behind Jones, but a five-second penalty for a clash with Marjoram dropped his MW Motorsport Nissan to 15th. The sister Altima of Garry Jacobson and Ford of Shae Davies ran sixth and seventh in the early stages, until contact between the pair at Turn 4, as Davies tried to find a way past. Davies then clouted the inside wall exiting corner, while Jacobson had to pit with a flat left-rear tyre. An incident between Jake Kostecki and Tyler Greenbury on lap 10 brought out the Safety Car, Kostecki stopping on track and retiring from the race and rookie Greenbury crossing the line 19th. The second 30-lap race will take place tomorrow at 9:10am, followed by Race 3 of the weekend at 12:45pm Sunday.